Pokkiri Raja is an upcoming Tamil comedy film directed by Ramprakash Rayappa, starring Jiiva, Hansika and Sibiraj in the leading roles. The film’s audio launch materialized recently where composer D Imman showcased the film’s album by putting up a concert. Athuvutta, the already released single track from the album, had its audience dancing and singing out, as Imman was performing and the cops there had to sweat it out to bring the crowd back to normalcy. 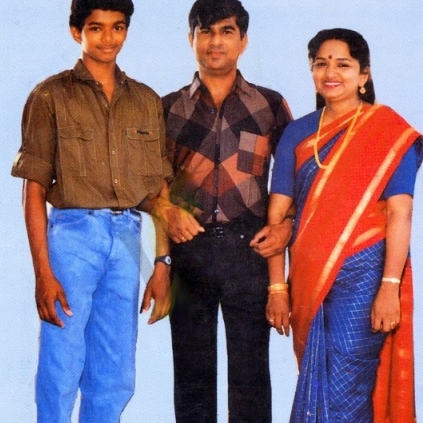 As the audio was launched on Valentine’s Day, something pertinent to love had to crop up and that was the garland exchange of Vijay’s parents S. A. Chandrasekhar and Shoba Chandrasekhar, at the event. People looking for online information on Actor Vijay, D Imman, Pokkiri Raja, S A Chandrashekhar, Shoba chandrasekar will find this news story useful.